A distinctive feature of the southern western ghats was its vast grasslands dotted with indigenous forests called sholas. They co-existed without encroaching on each other. Grasslands are a home to twice as many animal & bird species than the sholas and all the major rivers in Tamilnadu originate from these grasslands. 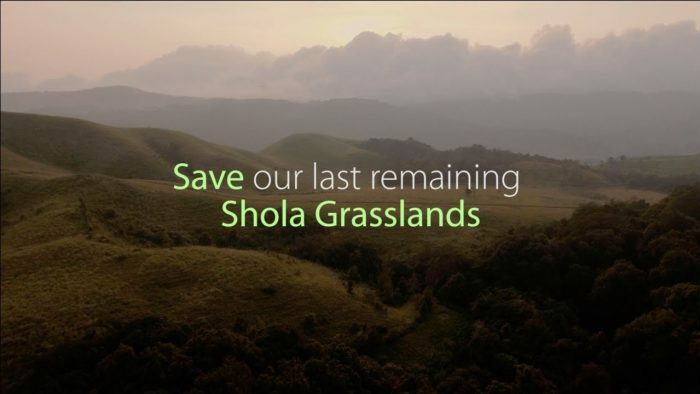 Thesegrasslands are now facing extinction because of misguided pre-independence Policies of the British Government to plant mono-culture commercial species of Eucalyptus, Pine & Wattle on these supposedly ‘waste-lands’. Post-independence felling of these commercial species ordered by the Courts has exacerbated the problem. A recently published study by seven volunteer scientists organised by Sunayana & Anil Choudhry ( Ex-residents of Jakarta) uses satellite imagery to establish that less than 20% of the Grasslands still exist. This group has now initiated an experimental project of grassland restoration. “Kodaikanal – Vanishing Heritage of an Island in the Sky“, a pictorial book co-edited by Anil Choudhry & a foreword by Sunayana records the Heritage of the Palini Hills. These activities are funded by the Indian National Trust for Art & Cultural Heritage ( INTACH).